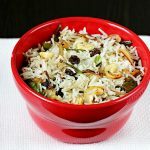 Ghee fried rice recipe – I make this South Indian ghee rice when ever I make a good restaurant style curry. My kids love the ghee flavor and don’t mind eating it daily. But practically it is not possible for all of us at home to eat only ghee rice everyday since we have different tastes. After cooking the plain rice for all of us, I make this ghee fried rice for the kids with their portion of cooked rice. The ghee rice recipe shared here is from my mum, the way she used to make for us when we were kids. This turns out to be amazingly delicious and is great for fussy kids. 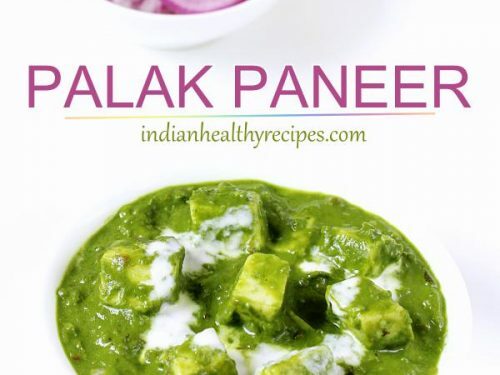 If you have difficult meal time with your fussy kids, do try this I am sure they will love this. 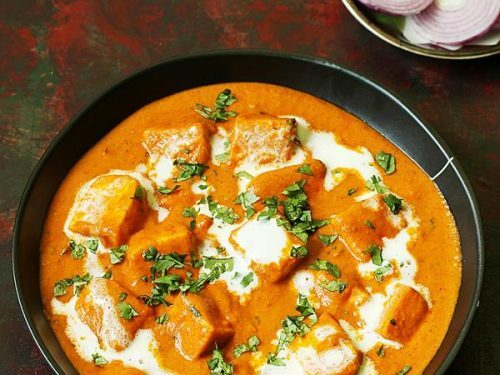 A mix veggie salad or a kosambari goes very well with this. It is healthy to accompany this with a vegetable salad since no veggies are used in the preparation of this easy ghee rice. I also make this with egg which I shared in the earlier ghee rice post. I thought of making this separate post for vegetarian readers. Egg is replaced with onions in this veg ghee fried rice. If your kids do not eat onions, you can skip that entirely. 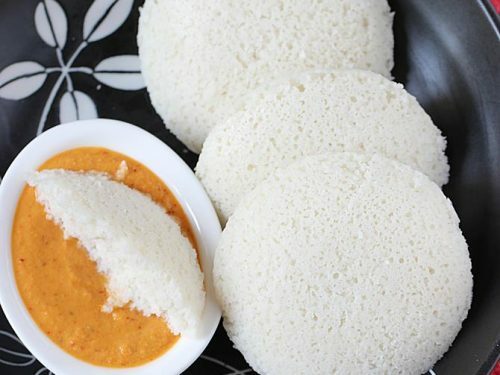 This ghee rice will be liked by anyone and is not specific to kids alone. 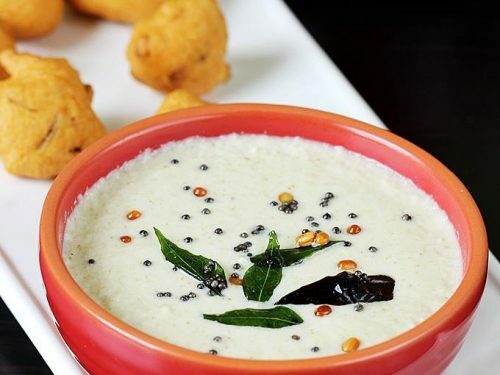 You can serve this without any side as well or a gravy curry goes good too. 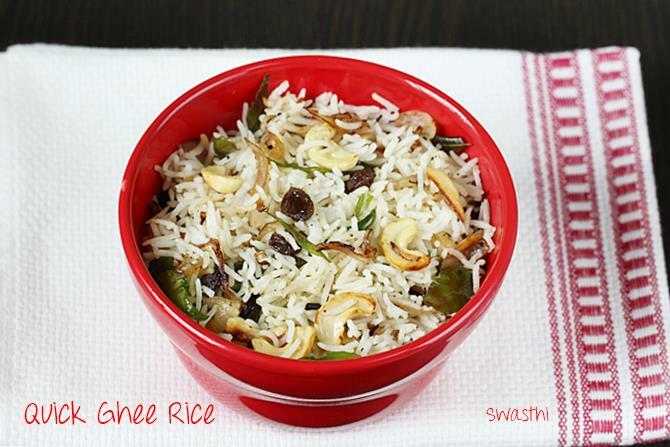 This recipe requires precooking rice and can be made even with ponni or sona masuri rice. 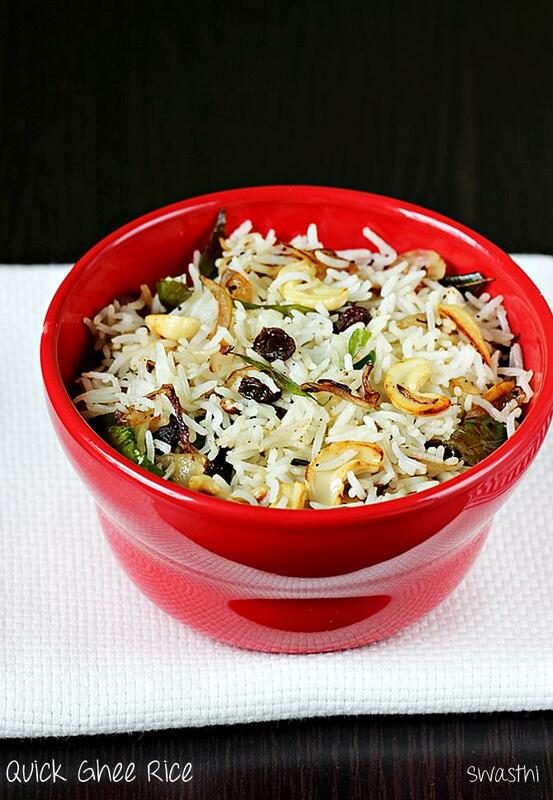 Easy ghee fried rice recipe - Rice fried in ghee along with nuts and raisins. Make sure your rice is cooked al dente and is not mushy. Slice the onions, slit green chili and chop garlic. Heat and pan with ghee and saute garlic for 1 to 2 minutes. Add onions, green chili and fry until brown. Add curry leaves and nuts. When the nuts turn golden, add raisins. Saute for a minute until you get a nice aroma of raisins and ghee. Add rice and sprinkle salt. Mix and fry on a high flame just for 30 secs. Serve ghee fried rice hot with veggie salad. Thanks for this recipe. Gonna try this soon. 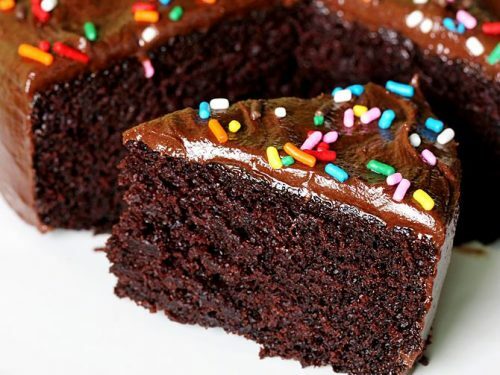 Such a nice recipe. Liked it. would love to try this. 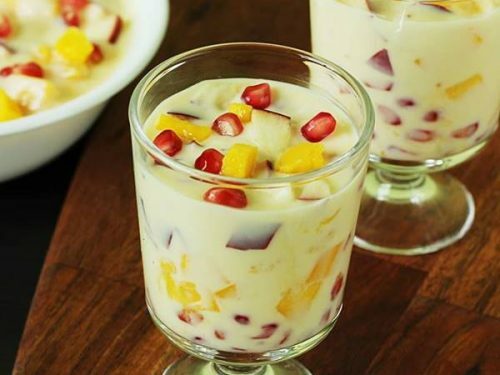 Super recipe for navrathri. Happy vijayadashami swathi. Happy Vijaya dashami to you all as well.